GreenFuse® Bloom Stimulator® was formulated in Holland, and is a plant nutrient supplement blended from 100% pure plant extracts. GreenFuse Bloom Stimulator is a highly concentrated plant growth nutrient supplement, blended from pure plant oils and extracts. 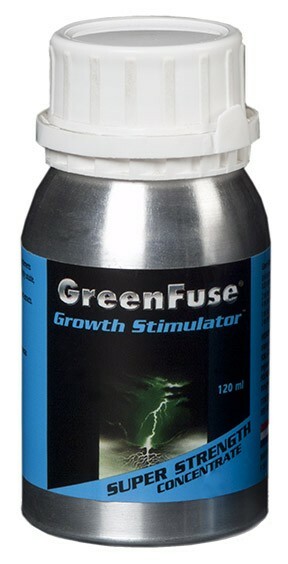 GreenFuse Bloom Stimulator Super Strength Concentrate has a phenomenal dilution rate of 15,000 to 1, an incredibly potent plant blooming source packed into a very small package. 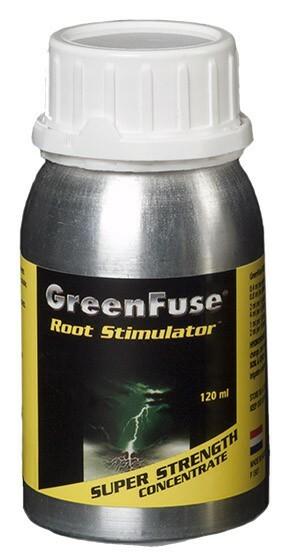 Use it with GreenFuse Root and GreenFuse Growth for all stages of plant growth. with each reservoir change. Use throughout a plant’s growth cycle. Mix well and apply to the root area with each irrigation throughout the growth cycle. Mix well and spray over leaves weekly throughout the growth cycle.